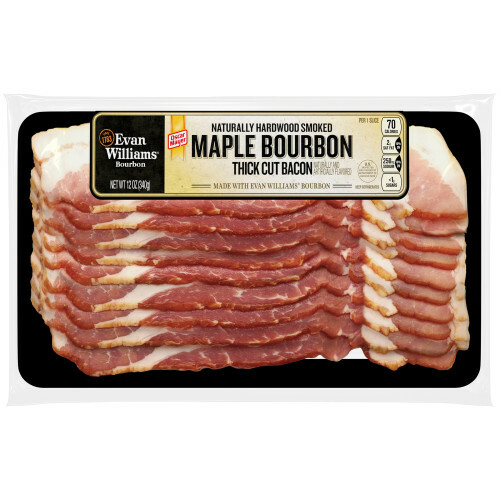 Oscar Mayer’s Maple Bourbon Bacon adds indulgence to your everyday meals. 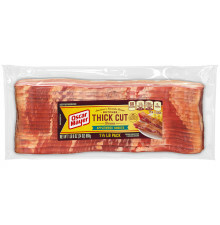 We took our classic hardwood smoked bacon and cured it in bourbon, delivering a delicious flavor perfect for adding a sweet note to your breakfast, lunch, or dinner recipes. 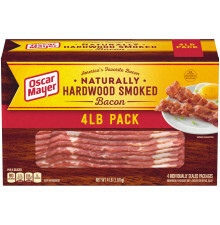 The possibilities are endless with Oscar Mayer, America’s Favorite Bacon! 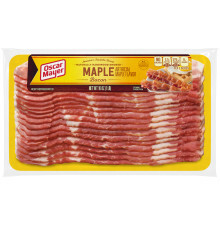 CURED WITH WATER, SALT, SUGAR, NATURAL AND ARTIFICIAL FLAVORS INCLUDING NATURAL MAPLE FLAVOR, BOURBON, SODIUM PHOSPHATES, SODIUM ASCORBATE, SODIUM NITRITE.